Iluma Intense Brightening Creme Review – an Image Skincare Favorite! Zilis Ultracell CBD Oil Review - 10 Person Study and the Results are In! Microneedling vs Microdermabrasion vs Dermaplaning - My Experience and Results! Pruvit KETO OS Review & Results - What Happens When You Stop? Free Trials for Skin Creams (SCAMS) - Phone Numbers and How to Cancel! ReTrieve Cream Review - How Strong Is It? Keto OS Samples For Sale - New Pruvit Flavors! Zilis Ultracell CBD Oil Review – 10 Person Study and the Results are In! 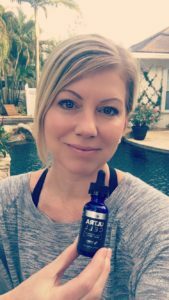 Women’s Blog Talk did its own independent, informal study on the Zilis UltraCell Full Spectrum Hemp CBD Oil and I’m excited to share our results and also to educate you on CBD. When I decided to navigate the waters on finding reputable CBD Oils to try, I took the task very seriously and I’m just getting started. If you haven’t noticed, CBD Oils, hemp products and medicinal marijuana are HOT topics and have been for a while. Supplementing with CBD Oil has become a popular and naturally safe alternative (or addition) to pharmaceuticals which can potentially help with many health concerns. I also have an interest in brain health. Having a sister with epilepsy, I’m always on the lookout for things that won’t disrupt her delicate balance of meds and that could help her. She is my inspiration for this post. The hemp plant has been used since ancient times for healing, but sadly it’s been illegal for the past 80 years, so we have some catching up to do on research! 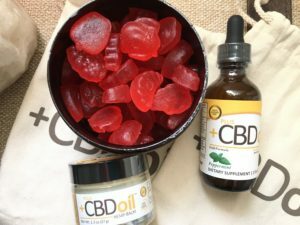 There are many promising studies to date on CBD however, some of which I’ll link to in this post and plenty of anecdotal evidence to support its popularity. If you’re considering trying a CBD Oil for endocannabinoid nutrition, whether it be for pain, anxiety, relaxation, better sleep, or a host of other health benefits – you’ll want to keep reading. Choosing a CBD Oil can make your head spin, especially if you’re a researcher like me who demands quality and transparency. There are varying MG strengths, differences in distillation processes, and huge differences in price because of quality standards. I mean, do you really want to use a CBD that uses an alcohol distillation that requires boiling which can destroy its medicinal properties? Or one that’s not organic? Hemp is like a sponge when it comes to absorbing toxins. We used the Zilis UltraCell Full Spectrum Hemp CBD Oil for our study, in both the Berry and Lemon flavors (most people liked the Berry flavor best, including myself). Participants took the UltraCell for 7 days and reported their results, and I’ve been on this product since June 2018. My purpose in wanting to try CBD stems from my interest in holistic measures I can take to help me relax and get more restful sleep, reduce anxiety and for natural pain relief. Being in my mid-40’s, I’m really starting to feel the aches and pains. Sore knees, sore shoulder from swinging at the volleyball, tendonitis in my right arm, achy and stiff in the mornings. Being premenopausal doesn’t help either… night sweats, random bad moods, PMS type symptoms. My hope was that CBD oil would be something that would fit nicely with my lifestyle to help my body just…feel better. What Can CBD Oil Help with and How Does it Work? CBD Oil may provide many health benefits as our bodies are made with cannabinoid receptors; we are hard wired to benefit from endocannabinoid nutrition to support homeostasis within the body. 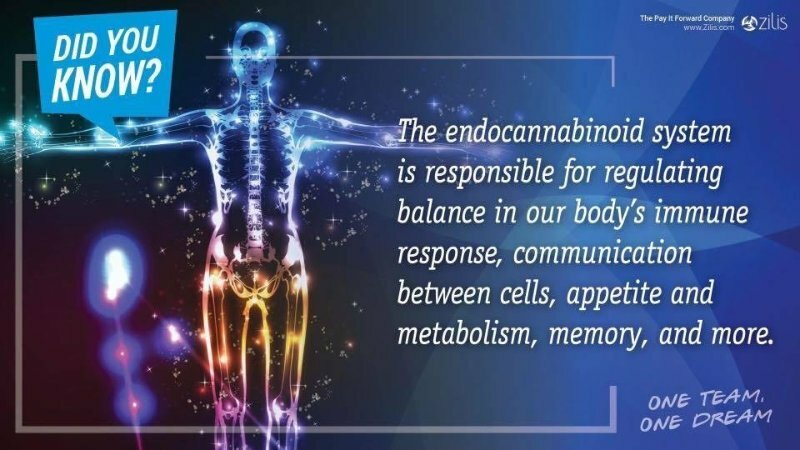 Our bodies endocannabinoid system regulates many functions in the body including the central nervous system, cognitive and physiological processes (i.e., sleep, mood, memory, appetite, pain-sensation, fertility and pregnancy, and inflammatory responses). CBD can effectively penetrate the blood-brain barrier to provide nutrition to our endocannabinoid systems (much like MCT oil can). I should add that I’ve been supplementing with MCT oil in my coffee for over a year and love the brain benefits, intermittent fasting on MCT is my norm. The Zilis UltraCell contains MCT which is also why it has such a great taste. I say “may” because CBD is NOT a cure all and shouldn’t be viewed as such. The purpose of this review is not to give medical advice (I am not a Dr.), rather to share information, studies and personal experiences. It is something natural and safe that you can try to see if it works for YOU. Always check with your Dr. before starting a new supplement. Reduced anxiety – A study from Neurotherapeutics found that CBD may help reduce anxiety in people with related disorders, such as PTSD, general anxiety disorders, social anxiety disorders, OCD, panic disorder. Natural pain relief and anti-inflammation – A study published in the Journal of Experimental Medicine found CBD to significantly reduce chronic inflammation and pain and some rats and mice. Epilepsy/Seizures – In June 2018, the FDA approved the use of a CBD oral medication (a pharmaceutical grade CBD) to treat two types of epilepsy, and here is also a Mayo Clinic article on the same topic. Here is an additional study on on the potential therapeutic role of CBD with epilepsy and other neuropsychiatric disorders (anxiety, psychosis, addictive behavior). Medical Disclaimer: If you have any medical conditions, please check with your Dr. before trying any new supplement. My sister will never be able to stop taking her medications as she has a very complex case of epilepsy and thankfully her seizures are under control with meds. CBD may be something natural she can use to relax or help with anxiety, but CBD could never be a replacement for pharmaceuticals for her. 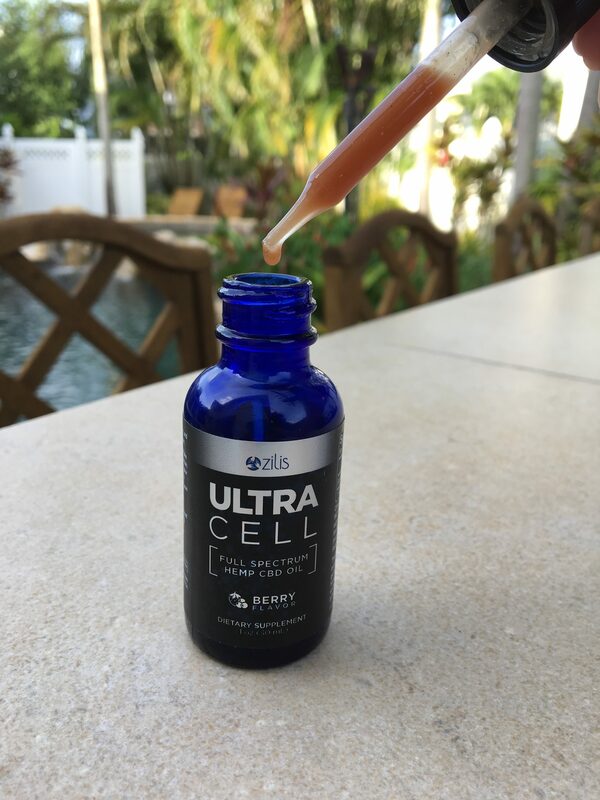 Unlike other CBD oil isolates, Zilis UltraCell is a phytocannabinoid-rich full spectrum hemp oil containing over 400 active compounds including CBD and a host of other cannabinoids, flavonoids, terpenes, fatty acids, vitamins and minerals. Much like eating a full orange would be more beneficial if you’re low on Vitamin C (vs. taking a Vit C pill), a full spectrum CBD has an entourage effect. Zilis utilizes all aspects of the hemp plant in its natural state and creates an environment where the compounds work together to create a synergistic effect. Have you ever tried mixing oil and water? It doesn’t mix… What’s different about Zilis UltraCell is that it’s water soluble, which means your body will absorb it more efficiently. 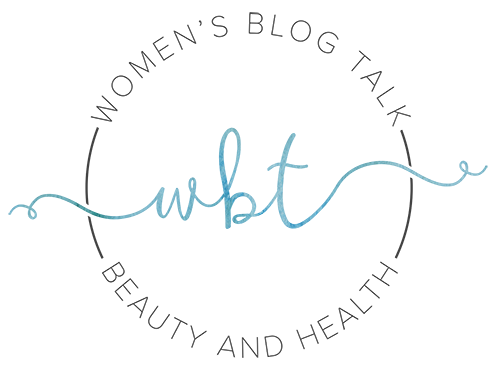 UltraCell is processed with a proprietary technology using liposomes and micelles for maximum absorption and bioavailability. Liposomes act as a time release delivery, whereas the micelles promote rapid onset. Ultracell technology is only available from Zilis. Is CBD Legal? Does it Make you…High? Zilis UltraCell CBD Oil is made from the legal hemp plant (not its female counterpart – the marijuana plant). Hemp was legalized when the 2014 Farm Bill passed and is legal in all 50 states. The Zilis UltraCell CBD Oil does not contain THC which is the psychoactive property in marijuana that makes you feel high. 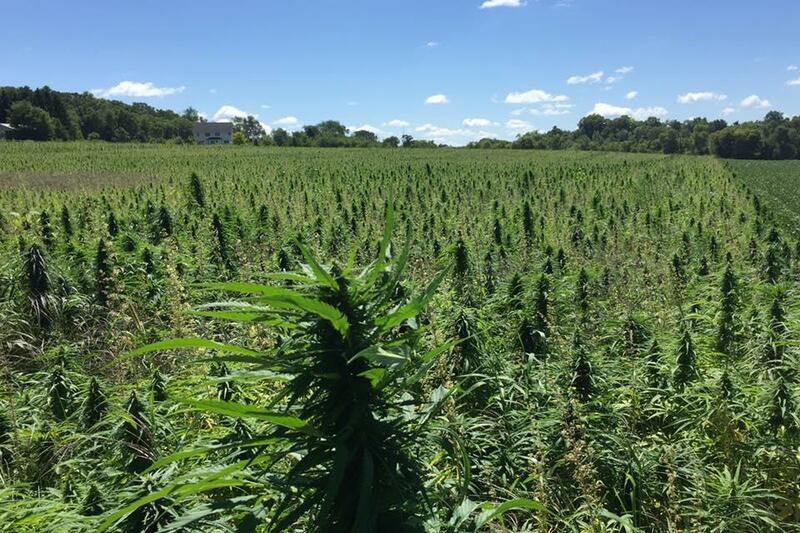 The Federal Farm bill allows hemp products to contain as much as 0.3% TCH. However, all batches of Zilis Ultracell are independently tested to contain less than 0.0% – but since it’s derived from hemp, it can contain trace amounts. Some CBD Oil blends are in fact made from the marijuana plant and do contain THC and may be beneficial for certain conditions. I heard about Zilis from a friend and decided to take the Zilis UltraCell 7 day challenge. 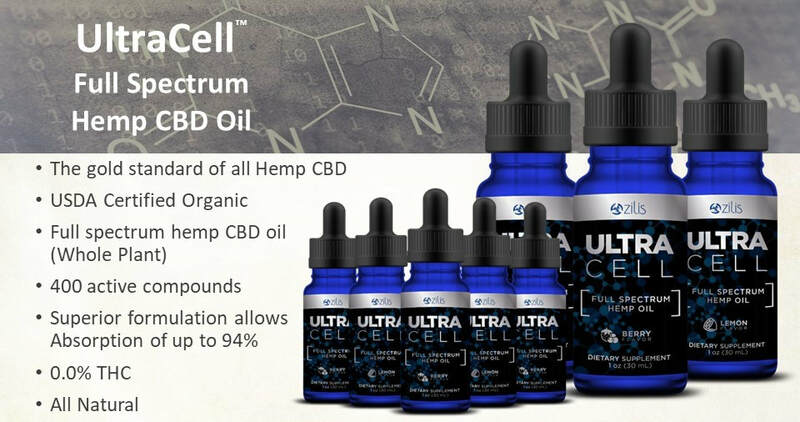 using the UltraCell Berry Flavor, an organic full spectrum hemp CBD oil. The directions are to not change anything else in your routine, simply take one dropper full a day. Even though I’ve heard CBD can give you energy, I decided to make it a nightly routine. And for the record it didn’t give me energy, but I can see how if it reduces someone’s pain, that could make you feel better and result in more energy. Just my theory! 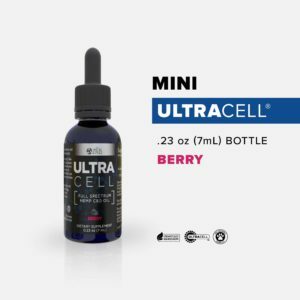 *UPDATE* Since writing this review, I’ve gotten an overwhelming response from people who wanted to try, so I’ve since made a bulk purchase of the Mini Zilis Ultracell Berry trial bottles. If you’d like an Ultracell Mini, they are $30 and you can check out here via Paypal. All orders will be shipped within 24 hours with tracking. It’s a great way to try before you buy! Rachel (me), mid 40’s, good health w/ general body aches from an active lifestyle, premenopausal symptoms, trouble relaxing at night and falling asleep. 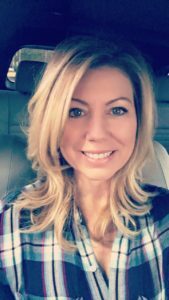 The night I decided to start taking my Zilis UltraCell CBD I was feeling AWFUL! Bloated, miserable, achy, and felt like PMS was starting to hit, super cranky. I was a little afraid at how this CBD stuff was going to taste…. I took one dropper full (1 ML) of the UltraCell Berry flavor and let it sit under my tongue for about 15 seconds before swallowing. It tasted good – sweet and every bit like berries and has a little “zing” to it. Definitely pleasantly surprised by the ease of consumption. But I couldn’t put my finger on the feeling. I just felt more relaxed, more chill, and my mood did a 180! 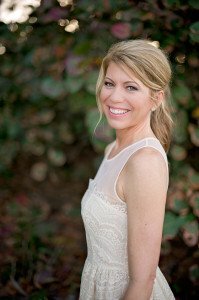 My body wasn’t hurting as much and I didn’t cuss out my husband for wanting food – so far so good! I felt sleepy and was ready for bed earlier than normal, and didn’t feel the need to take my normal dose of melatonin (I usually take about 3 mg liquid melatonin and have finally stopped!). One thing I noticed was that I had some strange, vivid dreams (alligators trying to bite my sister), but I woke up feeling very rested, got a ton of work done the next day, and had energy to go lift weights. Good mood all day! Where did that PMS go? So I had a full day of activity and my body is sore from the gym, but I was in a much better mood today! I drank my ketones earlier, so I had lots of energy, per usual. I took my UltraCell at 8:30 pm, and just like the previous night, I felt more calm within about 15 minutes. Relaxed, but not falling asleep, just chill – I felt good!! I slept great and didn’t experience any weird or vivid dreams on night 2 and haven’t since. When I woke up this morning I seemed to feel a “residual” feeling from the UltraCell. I felt well rested, and wasn’t groggy, but I just noticed an overall calmness and lighter feeling in my body (no aches or pains taking that first trip to the bathroom). I have read that CBD “builds up” in your system before you’ll feel the full effect so I’m not sure if a week is really enough time to feel the full benefit. Got my morning chores done without feeling grumpy about it and felt more patient and cheerful overall, no anxious feelings. Got plenty of work done today, had a conference call with a prospect and felt sharp as a tack. Took my UltraCell around 9:30 pm and felt like crawling into bed to watch Netflix, so it’s definitely helping me relax and stop working so much. Same as the other night, it took about 10-15 minutes to feel it. I played beach volleyball all day and by night time, my whole body hurt…like an OMG I’m hurting. So instead of taking my usual Advil and sometimes a vodka/club to kill the pain after diving for balls and falling in the sand, I took my CBD and it took the pain away…like ALL of it. I’m pretty shocked actually at how it helps so much with my aches and pains. Slept great. I keep telling my husband he needs to try it since he pops Advil twice a day. Taking the UltraCell CBD at night feels like its become routine, overall I have nothing new to report that happened on days 5-7 other than I like the way I’m feeling. I look forward to taking the CBD at night, it tastes good, chills me out quickly and I go on with a relaxing evening, and I especially like how it helps reduce my overall aches and pains. I’ve taken no Advil in a week because I haven’t needed it. I haven’t really noticed much else but I don’t really have any major ailments either. I’m sleeping great and waking up rested. I’m going to sum up my experience since I continued to take the Zilis UltraCell long after the 7 day challenge and I’m still taking it nightly. There is no doubt that the UltraCell CBD helps me relax at night and I like that. I tend to be a workaholic at night when I should be relaxing on the couch with my husband. It has helped reduce general soreness (and sometimes really painful body aches) from beach volleyball and weight training, and helps put me in a good mood if I’m cranky and helps alleviate PMS type symptoms. My shoulder pain is completely gone, however my tendonitis arm is still bothersome, but less. See my review on the topical at the bottom, I am loving it for my arm! I took no other pain relievers during this six week period because I haven’t needed it. Physically, that’s about all I can attest to. 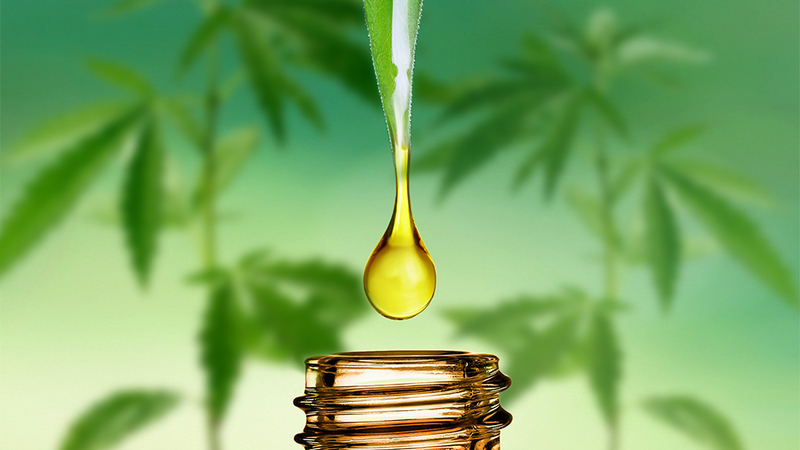 I like it – I like that the Zilis CBD oils are from organically sourced hemp and I do believe they make a good product. 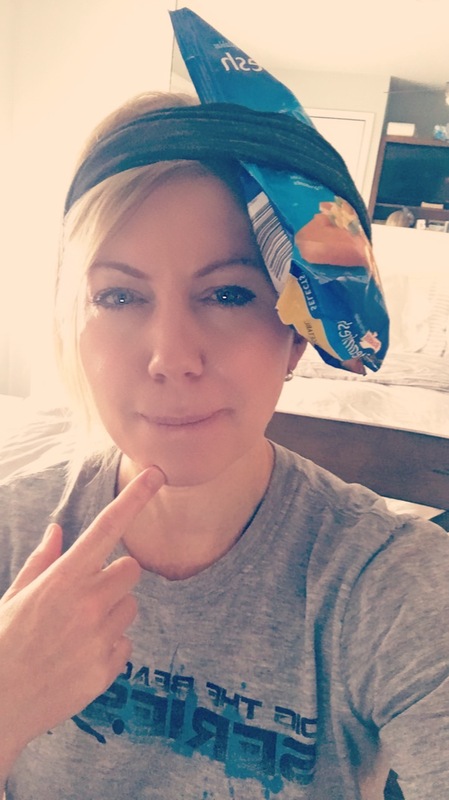 One thing significant that did happen to me just after the six week point was that I gave myself a mild concussion hitting the side of my head on the corner of a dresser drawer! Klutz…. Immediately I got a terrible headache and felt very tired. I stopped taking my CBD oil for about five days…headaches continued and I thought to myself, could these be rebound headaches from stopping the CBD? Spoke to my NP and she said you wouldn’t get rebound headaches from stopping CBD and she said take it, that it should help with the headaches. So that night I resumed, and my headache went away completely. I’m so mad at myself for stopping during that time! As a follow up, I saw my GP, she confirmed I probably gave myself a mild concussion…I declined the CT scan, and declined the “short term antidepressant that also helps with headaches” and instead will continue taking the CBD and over the counter meds if I need them. There seems to be enough convincing research on CBD and concussions that it could actually help me recover and it definitely takes my headache pain away! In fact the first big study on cannabinoid treatment for concussion is being done by the University of Miami which received a $16 million grant for the research. Pretty exciting since my sister’s epilepsy Dr.’s are at UM! My UltraCell CBD trial for Women’s Blog Talk was just a casual one –not an official case study by any means – but a way to get some random honest feedback. I gave away 10 bottles of UltraCell to 10 participants to try for a week. Some were friends and acquaintances, and some were randomly chosen from a CBD Trial Participants Wanted post on Women’s Blog Talk Facebook page. What did you think of the taste? I had the lemon…and wasn’t really a fan. How quickly did you feel it (if you felt it): I think it made me rather sleepy most evening…but a few nights I really couldn’t tell if anything was different. Did it help you fall asleep faster or stay asleep? I think it helped me to stay asleep…TOO well. I overslept a few times in the last week. Did it help reduce pain in your body? I don’t think it helped me with pain, I take other medications for that. I’ll tell you though…I had some crazy dreams. I’ve also had a few morning headaches…I’m not sure if it was from this…or a change in the frequency of my chiropractor and physical therapy appointments. I hope this is helpful information for you. I wish I had “felt” more. Taste was OK. I went to sleep easily but I usually do once I actually get in bed and stay there. Looking back at my Garmen, the stress scores those days were about half what they usually are on work days, but I didn’t noticeably feel different. A Garmen is a triathlon watch called Fenix 5s. It measures heart rate and ratio of sympathetic : parasympathetic activity, and also records meals and how many calories eaten vs. burned. 9/25-9/28 were the work days during the week I took the UltraCell. Since taking the CBD didn’t cause any obvious problems, I bought more and will see if I notice anything else. This is John. I really can’t give you much of a review. The first night I took the Zilis CBD I woke up the next morning and my back pain was minimal. I was ecstatic! After that i was in the same place I was. I honestly felt no results after the first day. I’m sorry I can’t give you more than that. 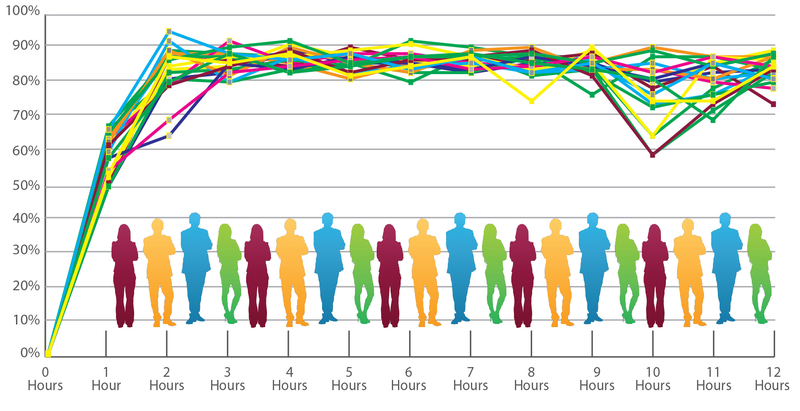 What time you took it: I took the CBD at night around 10:30 PM. What you thought of the taste: The taste was good, fruity and wasn’t too sweet. How quickly did you feel it (if you felt it): The first night I took it I felt it within 15 min. I felt very relaxed and fell asleep very easily. I only felt this way the first night, the following nights I fell asleep without any issues but didn’t feel the same feeling as I did the first night. Did it make you sleepy, calm, reduce anxiety? It made me sleepy and calm the first night. Did it help you fall asleep faster or stay asleep? The first night it helped me fall asleep faster and I also stayed asleep longer that night. The second night I woke up wide awake around 4 AM and had trouble falling back asleep. All of the following nights I fell asleep without any issues but still woke up in the middle of the night around 3 AM. Did it help reduce pain in your body? I didn’t have any pain in my body so I cannot say this helped reduce pain in my body. What things do you normally suffer from and did it help with any of that? I suffer from being able to stay asleep throughout the whole night. This seemed to help me stay asleep for longer the first night I took it but the following nights I still woke up in the middle of the night. I was hoping the CBD would help keep me asleep and I would stop waking up in the middle of the night like I have been but it did not. I took it around 11am and I found the taste good. I had some hope that maybe will work at least a little bit, because at this point a little bit means a lot, but I had no luck with this one. I hope that it worked for the other ones! Thank you anyways for the opportunity to try. Yes I was able to finish the trial.. Here is my summary. Day 1 : I took Cbd oil as directed about 8:30pm on Friday went to bed at 10:30 pm felt very awake almost hyper had to get back up. Felt like I had taken it but no change. I didn’t feel any changes at all with my pain..felt some difference with anxiety about 5th day but not for long.. Felt I did start sleeping better about 5th day .. So maybe 5th day is the trick. It is also good to note that I have an active job in the healthcare field and am not over or underweight for my age and height.. I felt more difference with taking Keto Kreme than with any other supplement I’ve tried as far as mental clarity and pain goes.. I hope this answers all your questions if not please feel free to ask away.. I tested the lemon UltraCell CBD oil and it tasted delicious. It had a unique taste that was slightly sweet but definitely tasted like hemp. I am in the middle of wedding planning and managing two jobs, my passion (a cardio dance fitness instructor) and fabric sales (to support my passion). I have anxiety nightly and aches and pains from killing my body at the gym, trying to get ahead of the #winterbody. My first wedding dress fitting the first week of January. It did help my aches and pains, but more notable was my lack of PMS symptoms. Less cramps, less hunger cravings, less mood changes. I like the Zilis CBD but the price point is a little steep. Zilis UltraCell CBD Oil is a quality, safe, non-pharmaceutical health supplement you would simply need to try to see how it helps you. While our trial results weren’t consistent, one week is not long enough to measure the full potential benefits of CBD and some may need to play around with the dose (and increase if necessary). In fact, the first week is often a “loading” period where the CBD is just starting to build up, and some of my participants had some major issues they were hoping to relieve. What one person feels on Zilis UltraCell CBD (or CBD in general) may not be the way YOU feel on it, but I would give it at least 30 days before you make a judgement. For me personally I’m quite happy with the relaxation effect, good sleep and less body and headache pain, and how it alleviates PMS/premenopausal symptoms and puts me in a better mood! And as I recovered from my mild concussion, I was thankful to have it as it’s helped with headaches. My shoulder pain (that has bothered me for over two years) is non existent. To no longer have pain in my shoulder when I swing is huge for me! I had enough faith in the way I’m feeling that I signed up to be a Zilis ambassador so I can get my CBD at a discount, and so I have a trusted brand to recommend to my friends and followers. I think Zilis UltraCell is a quality product, it’s organic and full spectrum, distilled by cold methods and the company tests its quality regularly and has a medical board in place to make improvements or give suggestions as needed. You have to be careful just choosing any brand off the shelf at a health food store or online. There are a ton of mom and pop brands and you really have no idea of the quality or the method of distillation. I’m sure there are plenty of GREAT ones as well…just do your homework. 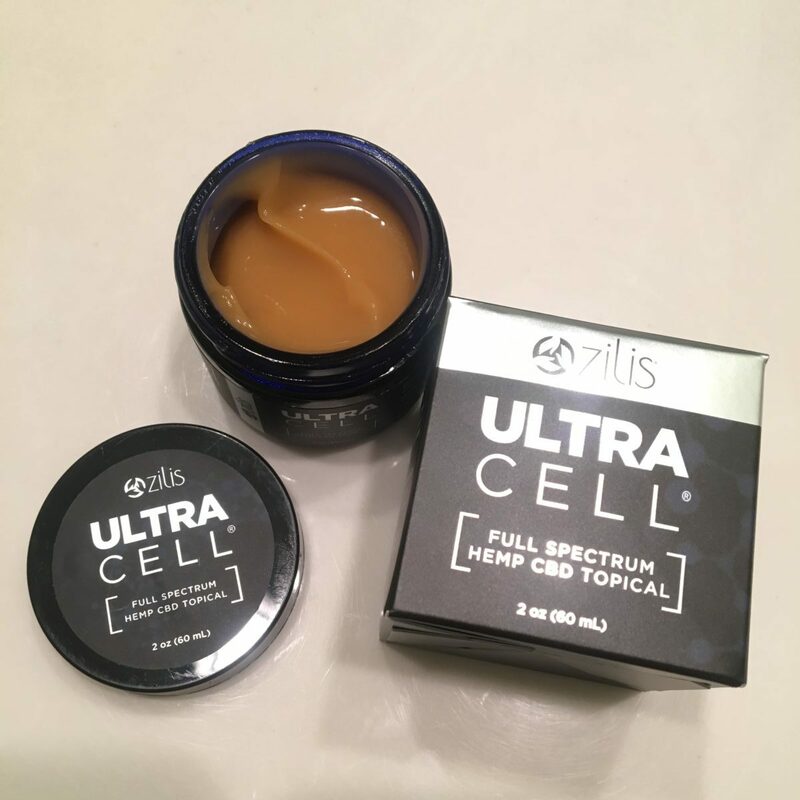 I still have other brands that I plan on trying and will review and compare those as I can, but for now I’m happy with the way I’m feeling on this one and think that Zilis UltraCell is a quality CBD Oil to try. And while it is is pricey, it’s standard for the true CBD dosage and it’s the only one I’ve found that has such an impressive absorption factor. As an Ambassador, you’ll get your Ultracell or Topical at a deep discount ($99 vs $149), totally worth it for the long term regardless if you want to make this a business. 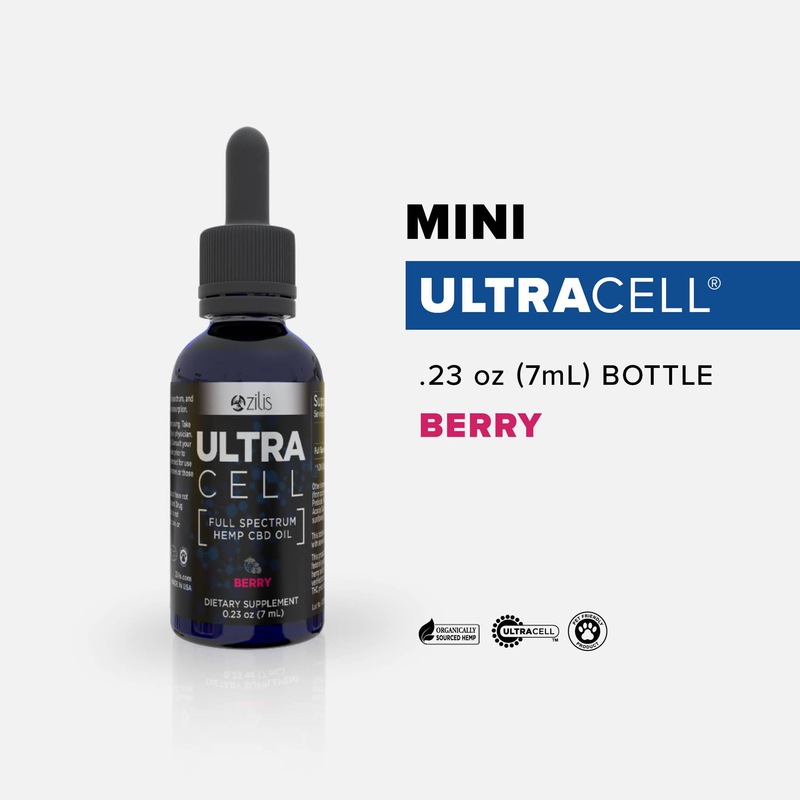 Or, purchase your Ultracell Mini trial bottle today to get started! 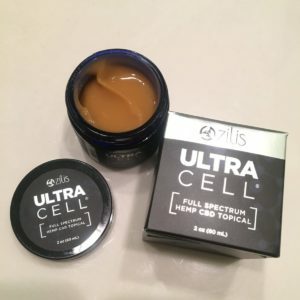 Zilis CBD Topical Gel – UPDATE! The Zilis Full Spectrum Hemp CBD Topical was on my list of things to try and it just arrived! It smells amazing, like peppermint and basil. IT’S STRONG!! …and it knocked me out today! I have tennis elbow (from volleyball) so there’s about an 8 in section on the top of my right arm that always sore and tight even if I’m just sitting, it really gets painful after playing. 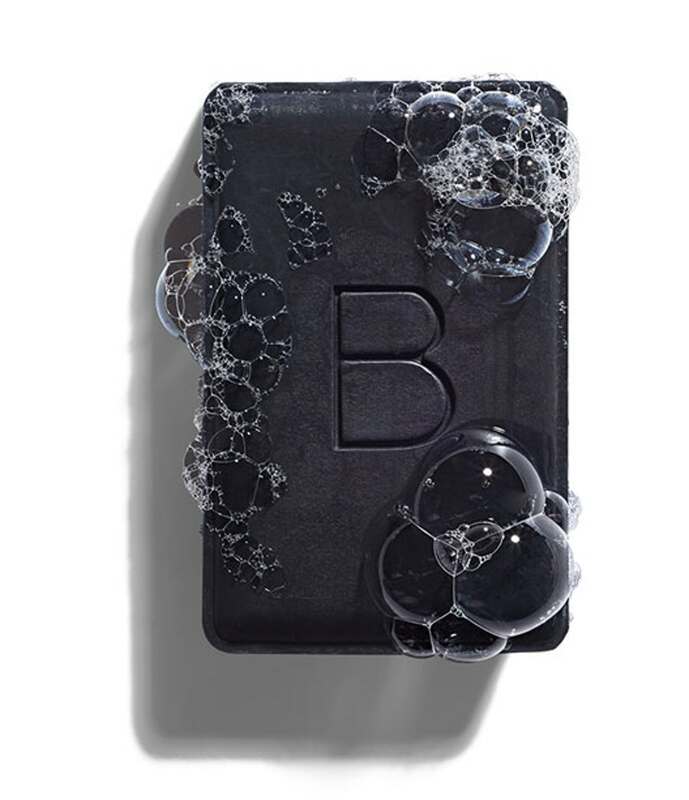 So….per the directions I rubbed a generous pea sized amount on my arm…it feels great on the skin, first a cooling then a warming sensation and the pain was reduced, it absorbs fully and feels dry to the touch. However, if you are in a lot of pain and also have trouble sleeping – CBD could really be your solution…without having to reach for addicting pain killers. THIS is why people are turning to CBD, it’s natural and not addicting and quite honestly, it works! I hope you enjoyed my review and I hope you learned something! Please leave comments or questions below! I’ve been looking into alternatives and the Plus CBD Oil is worth considering if Zilis is out of your price range. It’s organic hemp, full spectrum, non-GMO, gluten free, third party tested they use a CO2 distillation process. A 2 oz bottle (160 servings) of the Plus CBD Oil drops are 750 mg with 5 mg CBD per serving – price is $80.96. Their best seller is the Peppermint flavor but they also have Goji Blueberry if you prefer fruity. Thanks Rachel, for sharing this and for not leaving any details out. I've been wanting to try CBD oil for my pain for quite some time. I will give the Zilis a try and let you know how it goes. 5.0 5.0 1 1 Thanks Rachel, for sharing this and for not leaving any details out. I've been wanting to try CBD oil for my pain for quite some time. I will give the Zilis a try and let you know Zilis Ultracell CBD Oil Review – 10 Person Study and the Results are In! A: Hi Meldene, thanks so much for your comment, I'm glad you enjoyed the Zilis blog and I hope CBD can help your daughter! Honestly after getting more into CBD, I don't consider one dose of Zilis over the top strong by any means, and my aunt told me the same thing as far as "dosing up" in the beginning, but do what you feel comfortable doing. Zilis has roughly 4.2 mg of CBD (cannabidiol) per serving, and the Plus CBD Gummies I've been taking are 5 mg per gummie. While they relax me, they don't knock me out or anything like that. I think I feel roughly the same on a dose of Zilis, however I seem to be sleeping better on the gummies so maybe that small increase in dosage helps. I will say I think the Zilis may have worked slightly better for body pain.. so it's a hard call. I'm still experimenting with the Plus CBD Oil. I did try the Plus CBD Oil in the Peppermint flavor - and it also has 5 mg per 15 drop serving (or half a ML dropper full), but it's a whopping 2 oz bottle for $80 so you practically get double than you do with Zilis, and the 60 count of the gummies is $58. Plus CBD Oil (like Zilis) is organic, non GMO, third party tested - all the quality standards are there and they are a bit more clear on the labeling as well. Zilis does post the mg dose, but on the website and not right on the bottle. The main difference I can see between Zilis and the Plus CBD Oil brand is that Zilis has an edge on being water soluble. Zilis has the "ultracell technology" which is their proprietary technology using liposomes and micelles for maximum absorption and bioavailability. Liposomes act as a time release delivery, whereas the micelles promote rapid onset. I am not a scientist so it's hard for me to quantify this, but I do know that it seems to be very important when it comes to supplements. Whether it's worth paying double for, the jury is still out because I am feeling good on the Plus CBD Oil. I felt the same on the Plus drops vs the gummies as well. To give you an idea of why I wouldn't be afraid of a 5 mg serving, is this. I have a bottle on my desk that's 20 mg for TWO DROPS. It's a brand being used in a cancer trial. I'm a bit scared to try it! But I will eventually. Also, I've read in some studies that for treatment of epilepsy and seizures doses are over 100 mg per day (don't quote me on that - nor take this as medical advise if anyone reads this). So... a 5 mg dose is not terribly strong when you're really comparing to some. It's a great starting point, and everyone will react differently to CBD doses so it's something you would probably need to experiment with. But don't feel like two doses a day is crazy strong... she may need it. I'll probably take 2 of the gummies soon and see how I feel. Another difference is Zilis tastes better in my opinion compared to the Plus CBD Oil peppermint drops. Zilis uses MCT as its carrier oil, and I love MCT. If you're not familiar with MCT, it's a medium chain triglyceride - a specific fatty chain extracted from coconut oil. Something I've used for a while as a stand alone product in my coffee. MCT has a very small molecules so its able to pass the blood brain barrier to be used as immediate brain energy - literally food for your brain (there are MANY benefits to MCT oil). So, I really do like that about the Zilis Ultracell. The Plus CBD Oil uses extra virgin olive oil as their carrier oil, and it just doesn't taste quite as good to me. I can let the Zilis simmer in my mouth and it has a really good flavor, whereas the Plus reminded me more of taking a tsp of olive oil. Don't get me wrong, it's very palatable and has a nice peppermint flavor, but if I had to choose one on taste alone, it would be Zilis. However the Plus CBD gummies are really tasty, no complaint there. So, I think something to consider would be how your daughter responds to the Zilis flavor, is it enjoyable for her to consume? Or do you have any difficulties dosing her? If you think she'd be more apt to have a "candy" then maybe give the Plus CBD Oil gummies a try and you could work up to two servings, or give her one in the morning and one in the evening. The Plus CBD Oil also comes in a goji berry flavor if you think she'd prefer fruity over peppermint. Sorry this has gotten so long, but I hope this response helps. I think it would be worth giving the Plus CBD Oil (or gummies) a shot with your daughter to see if you notice that either she likes it better, or that she feels better on it, especially if cost is an issue for you. If you decide you'd like to try it, you can visit the PlusCBD Oil website here. Or, if you decide to stick with the Zilis, you should feel confident that it's a very good brand! Why Women Freeze Their Eggs - Should you Wait on Mr. Right? I have tried Zilis and love it…Has made a huge difference in my sleep and less brain fog during the day. You mention another oil Plus CBD? Does it absorb the same as Zilis? I can respect the price point difference but do you have to use twice as much to get the same benefit? Or is it really apples to apples? And the branding/marketing on Zilis is driving it’s price point? Please advise… 🙂 always looking for a way to save money…but it will be hard to change from Zilis…plus have you tried any other product line that offers boosters that compliment the oil? Hi Pam, I think Zilis has an edge on the PlusCBD due to the Ultracell technology making it water soluble – which means more absorbing into your cells. You wouldn’t have to use twice as much PlusCBD but I think it’s just something you may have to try to compare, it’s really hard to say because it’s not quite apples to apples. I still use both, but feel the Zilis works a little better all around, especially for body aches and pains… so to some that may prove to be a significant difference, others maybe not so much. Zilis tastes better to me than the PlusCBD drops – I like the fruity taste of the Zilis but I’ve only tried the PlusCBD mint flavored drops which I wasn’t crazy over (but not terrible by any means), but they do have a goji berry flavor and I’m sure I’d like that better. The gummies are really good but I think drops are probably more effective overall since you can put under your tongue where it will absorb right into the mucus membranes, whereas the gummies are chewed and must be digested so the effect may not be as strong as the drops. I’ve tried chewing them and leaving under my tongue but that didn’t work out so well, LOL, it’s just too much in the mouth so those are better chewed and swallowed. Zilis does have some newer homeostasis supporting products, namely the Ultra Edge and the Ultra Ice, both of which I have in my closet still with shrink wrap on them so I haven’t tried them yet! I may actually try the Ultra Edge today…looks like it has a bit of caffeine in it so may give me a boost. Thanks for your questions, let me know if I can help or you can email me directly at [email protected]. By the way, that’s wonderful that the Zilis is helping you! I wouldn’t rule out trying the PlusCBD…if it helps you as well, then you’d be saving a ton. If you try and it doesn’t give you the same benefit, go back to the Zilis. Are you still looking for participates in the trail? I am very interested. Very curious – I am 60 plus, very healthy – no medication, very anti doctor. Three weeks ago I had a fall, fell onto my right hand/wrist/elbow – it has been swollen from hand to armpit since……….I ice pack once in awhile, and take ibuprofen once a week or so. I try to workout daily and have continued but feel I have now irritated things worse, so stopped doing planks & any weight lifting. I have no pain, its just swollen? Please advise. Thank you. It it sounds to me that this product is is more for women. I didn’t see any men but one, 90% were women. Thanks for posting your review. I am a Zilis ambassador because I wanted a quality product as well. I do have a question about dosing instructions you gave the reviewers. Were they told to take it in the evening or did they have an option to take smaller quantities throughout the day if needed? How do I sign up to be an ambassador to receive discounts? Hi Phyllis, thanks for your comment. That’s great to hear that your Dr. is encouraging the use of Zilis CBD! 7ml sounds like the trial bottle if I’m not mistaken. Just keep in mind you may not feel the full potential in just a week, or even two but you should get an idea of how it may help. Don’t be afraid to take more than a 1 ML serving if you don’t feel much from it, some people do need more. It did help with my general aches and pains right away but everyone’s different and sounds like you’re dealing with some serious issues. I wish you all the best with your trial, and I’d love to hear if it helps. Zilis is pricey but it’s a very good quality oil, I really don’t have anything negative to say about it other than the price point. Great article! Thank you very much! I’ve been following your blog for awhile now and was curious when you might do a Hemp derived CBD review. Now we have one. Your trials with others was a different approach, but I liked that it wasn’t rah rah. Rather raw opinions from others using it. I’m an advocate for CBD Oils for those it can help. Even though we represent different brands, for buyers it’s important to know how it’s processed and ingredients. All our products have ingredient labels. Also while 500 mg may be fine for minor issues for more severe conditions, higher mg and longer periods may be necessary which can be pricey. So if one finds it is helpful, I would suggest sharing the love with others to help offset the cost. In the instance of my company we gave a 60 day empty bottle money back guarantee. So we don’t offer samples. Thank you for your honest review. Although it can help many it’s important to industry integrity not to promote it like miracle snake oil. Hi Christine, I really appreciate your comment. My trial was definitely a different approach, and I wanted to keep it 100% real by posting everyone’s experience. I definitely agree most people would need more time and quite possibly a higher mg dose for the desired effect depending on what they’re treating. Having a sis with epilepsy, I would never want anyone to mislead her so I take the same approach. Understanding the mg dose in CBD has been challenging because of labeling, and I’ve noticed the disparity in transparency already taking a look at some other brands so it’s important to find trusted brands for sure. Hi! Thanks for visiting Women's Blog Talk! Contact me here if you have any questions.